(b) Three states levy mandatory, statewide, local add-on sales taxes: California (1%), Utah (1.25%), Virginia (1%). We include these in their state sales taxes. (c) The sales taxes in Hawaii, New Mexico, and South Dakota have broad bases that include many services. (d) Due to data limitations, this table does not include sales taxes in local resort areas in Montana. (e) Salem County is not subject to the statewide sales tax rate and collects a total rate of 3.5%. New Jersey’s average local rate is represented as a negative.Sources: Sales Tax Clearinghouse, Tax Foundation calculations, State Revenue Department websites. (e) Salem County is not subject to the statewide sales tax rate and collects a total rate of 3.5%. 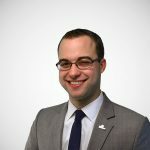 New Jersey's average local rate is represented as a negative. Scott Drenkard, Results of 2014 State and Local Tax Ballot Initiatives, Tax Foundation Tax Policy Blog, Nov. 5, 2014, https://taxfoundation.org/blog/results-2014-state-and-local-tax-ballot-initiatives; Kelsey Ryan, City Council votes to place proposed sales tax on November ballot, Wichita Eagle, Aug. 5, 2014, http://www.kansas.com/2014/08/05/3582950/city-council-votes-to-place-proposed.html. 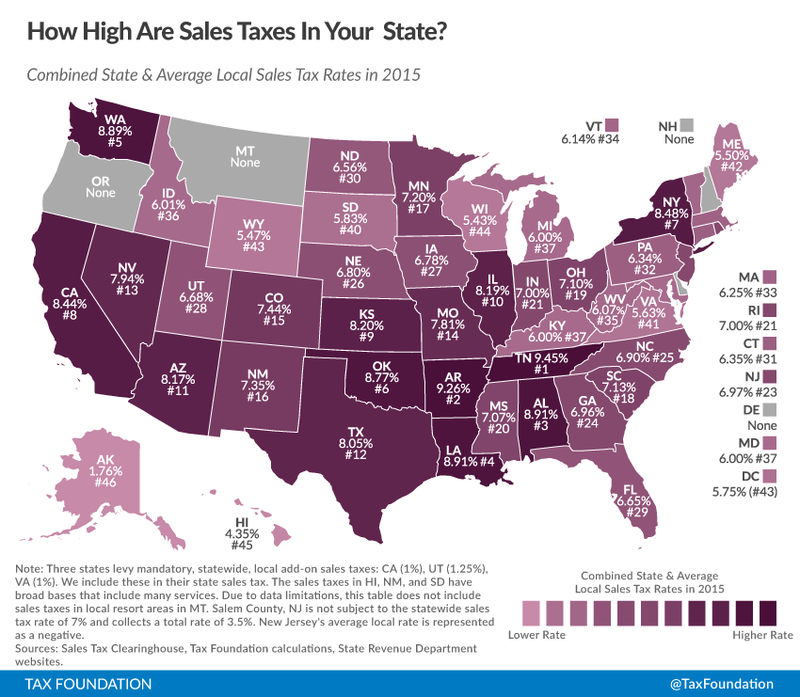 Liz Malm & Richard Borean, How Does Your State Sales Tax See That Blue and Black (or White and Gold) Dress?, Tax Foundation Tax Policy Blog, Feb. 27, 2015, https://taxfoundation.org/blog/how-does-your-state-sales-tax-see-blue-and-black-or-white-and-gold-dress. 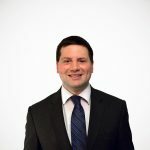 For a representative list, see Scott Drenkard & Joseph Henchman, 2015 State Business Tax Climate Index, Tax Foundation (Oct. 28, 2014), https://taxfoundation.org/article/2014-state-business-tax-climate-index.